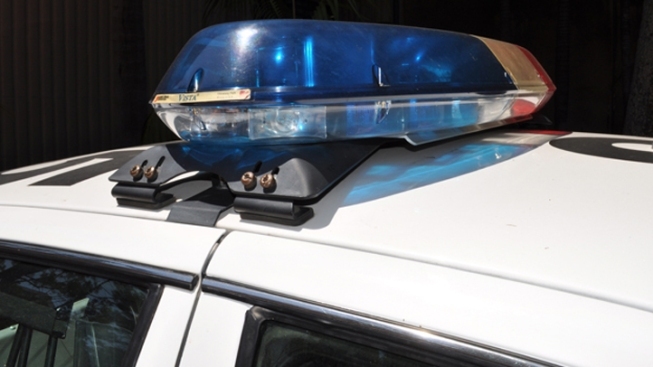 The gruesome discovery prompted the school administration to close school for the day. As a chaplain for the city of San Jose's gang prevention task force, pastor Danny Sanchez has practically seen and heard everything. Still, his experience doesn't make the death of a young man in his early 20's across the street from Santee Elementary school any easier to understand. "It's heartbreaking. Seeing the families after and talking with them. Hearing the news. Seeing the pain and the suffering, it's heartbreaking. We have teenagers that are dying. Young men. I believe this man was in his 20's," Sanchez said. The shooting death in East San Jose is the 20th this year for the city and the 4th homicide this week. There have already been as many homicides as there were in all of 2010. San Jose is on pace to surpass last year's total of 46. 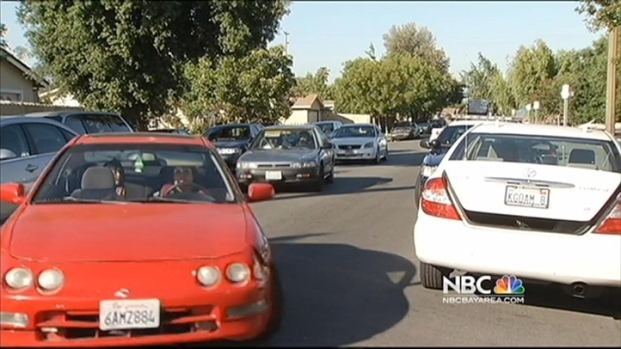 "As we get into summer, we're expecting to see more of that," said James Gonzales, an 11-year veteran of the SJPD and a Board of Director for the San Jose Police Officers Association. Gonzales says the city simply doesn't have enough officers to address all of the problems. "And we're in the same situation that we've been in in the past. We're robbing Peter to pay Paul to staff the streets of San Jose," Gonzales said. Damian Trujillo reports on a man who was shot to death near Santee Elementary School while he was apparently waiting for a ride to work. 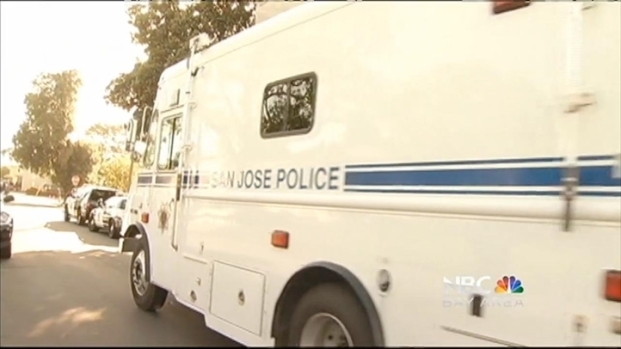 Because of the escalating violence this week, SJPD will be bolstering its patrols this weekend. Gonzales says that means more overtime. 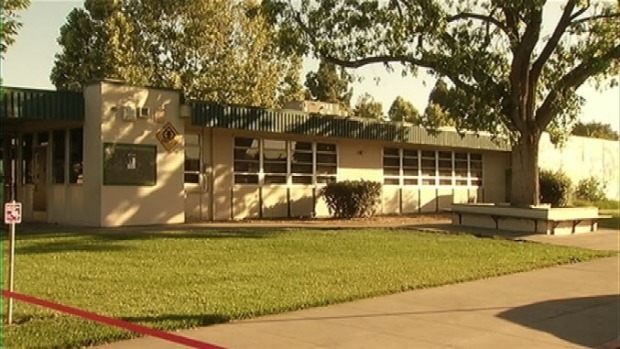 Classes at Santee Elementary in East San Jose are canceled after a deadly shooting near the campus. "We certainly don't have the officers to do it and really the only way to do that is with overtime. And we're seeing more and more fatigue and officers constantly getting pulled back in to fill a spot with overtime that should be a full time officer," Gonzales said. SJPD has also activated its crisis response protocol. That means Special Operation Units will be sent out to crime hot spots, especially areas known for gang activity. SJPD released the following information: The Special Operations METRO Unit will deploy 12 additional officers this Friday and Saturday for a total of 29 METRO officers each day. Sunday, 24 METRO officers will be called back to duty (for a total of 24). The Special Operations MERGE (SWAT) Unit will deploy 12 officers on Friday. 8 officers will be called back to work Saturday, and 10 will be called back Sunday. Additionally, Gang Suppression Details will be deployed in known gang hot spots. These details are made up of patrol officers working on an overtime basis. Patrol officers working their regular assignments have also been directed to focus any free patrol time on known gang neighborhoods in their beats in an effort to provide a high level of visibility.